Capt. John Smith Ferry, Surry County, Virginia, Historical Society Surry County Virginia Historical Society and Museums, Inc. LOCATION MAP - WE ARE HERE! The Surry County, Virginia, Historical Society and Museums, Inc. The 65-ft, 60-horsepower, wooden ferry Capt. 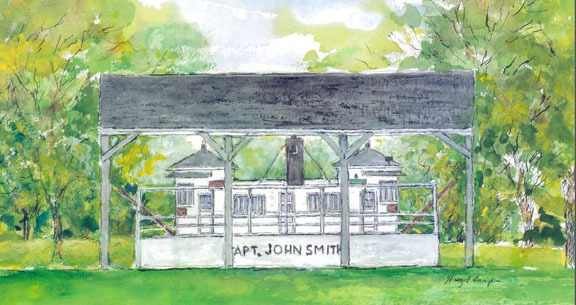 John Smith was built by the Isaiah Hundley Marine Railway at Battery Park, Virginia, in 1924. On February 25, 1925, the Capt. 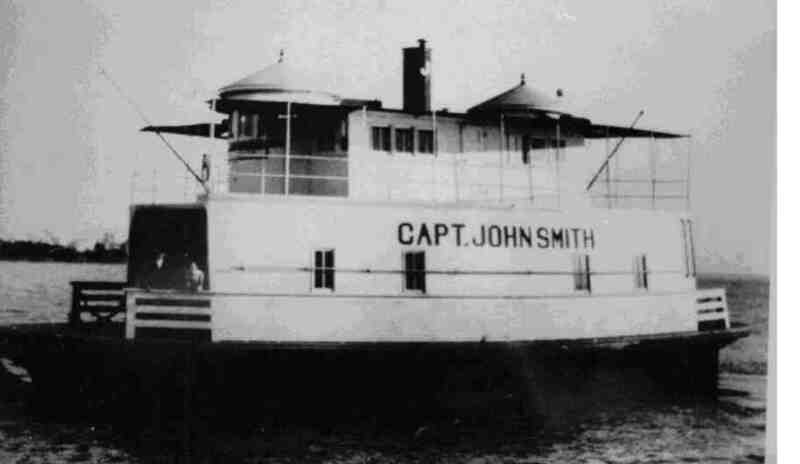 John Smith entered service for Capt. Albert F. Jester as the first modern ferry on the James River between Jamestown and Scotland, in Surry County. Capt. Jester's son-in-law, S. Wallace Edwards Sr., was an early captain. In 1946 Capt. Jester sold the ferry system to the Virginia Department of Highways. The upper deckhouse was removed in 1946 and the ferry remained in service for a few more years until it was sold and then scrapped in the 1950s. 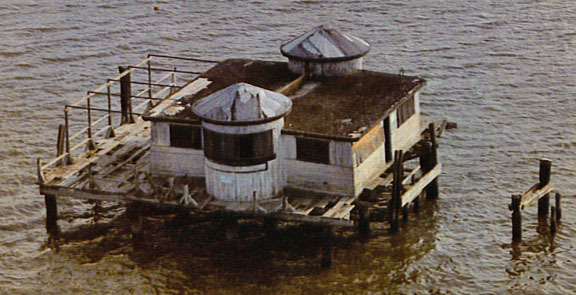 The 20 x 30 foot deckhouse was purchased by Fred W. Beazley of Portsmouth and became a summer cottage on pilings at his farm on the Western Branch of the Elizabeth River in 1946. It was later apparently used as a chicken house and, following his death in 1974, it was abandoned. In August 2003 the deckhouse was recovered by businessman Scott Wheeler and moved to his farm at Elberon in Surry County. A month later, hurricane Isabel swept through and caused widespread damage and destruction in the area where the deckhouse had been. In 2005 Wheeler donated the deckhouse to the Surry County Historical Society and Museums, Inc. for restoration and use as a museum of the ferry and the river. It was then moved by S. Wallace Edwards & Sons for storage on their property in Surry. In 2009 and 2013 grants from the Beazley Foundation enabled the Society to build a support platform, to move the deckhouse onto its property, and to purchase outfitting items for it. And in 2012 the Mariners Museum gave one of the ferry's original steering wheels to the Society for use on the project. In June 2009 VDOT awarded a $200,000 federal grant to the Society to restore the deckhouse for use as a museum. Of this amount $40,000 must be provided by the Society in the form of cash, donations-in-kind, and volunteer labor. Approximately 80% of this amount has been raised to date. In April 2013 a contract was awarded to Black Creek Workshop, of Courtland, VA, to do the restoration work. Work started last June and should complete this spring. Want to help? Donation checks may be made payable to the Surry Historical Society. Please note "Ferry Fund" on the memo line and send to P.O. Box 262, Surry, VA 23883. Donors who make gifts of $100.00 or more will be considered "Honorary Plankowners" and will receive a very special gift. To volunteer or for more information contact Bill Fox at 757-869-3501 or wafox8@msn.com. 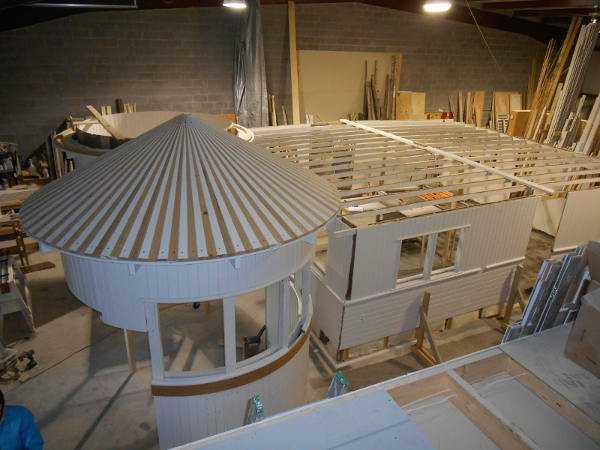 Deckhouse undergoing restoration in the contractor's shop. January 2014.